Consumer staples companies make for excellent dividend growth investments due to their steady nature. I mean we're all going to continue to eat even if the economy isn't exactly firing on all cylinders. That's why you see some pretty hefty dividend growth streaks concentrated in the sector. 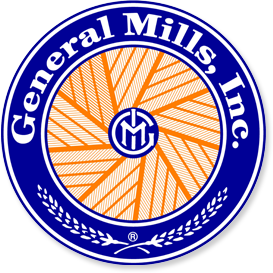 One such company is General Mills (NYSE:GIS), which has a 12-year streak of increasing dividends paid to owners but 117 consecutive years of uninterrupted dividend payments. From time to time, they might keep the dividend steady but in over 100 years, it's never once been reduced. That's a company that I can get behind. Especially when you add in that they have some of the great pantry staples brands among their portfolio including Cheerios, Betty Crocker, Pillsbury, Yoplait, Nature Valley and several more. Shares of General Mills are trading around $56.32 giving investors a current yield of 3.13%. The following tables/graphs are taken from my personal stock analysis spreadsheet. Data for the stock analysis was sourced from General Mills, Inc.'s investor relations page, Morningstar, and Yahoo Finance. Owners of General Mills have received excellent returns over the last decade. According to longrundata.com, shares of GIS have earned investors a total return of 316.9% or 12.2% annualized over the last decade. Those numbers are market returns at specific snapshots in time and aren't necessarily indicative of the business results over the same time period. Looking at the historic growth rates for per share dividends, earnings, revenue, and free cash flow gives a better idea of the true operational results that General Mills has delivered. Continue reading the General Mills Dividend Stock Analysis at Seeking Alpha. Also, you can check out more of my stock analyses at my Stock Analysis page.